Holiday bling with nothing spared! 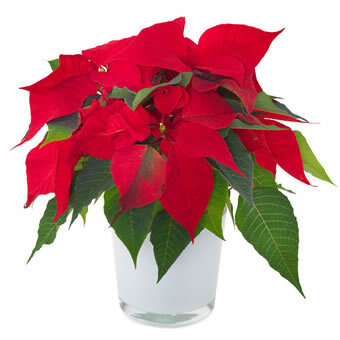 The classic and timeless red Poinsettia is grandly planted in a glass pot. The definition of the winter holiday season!